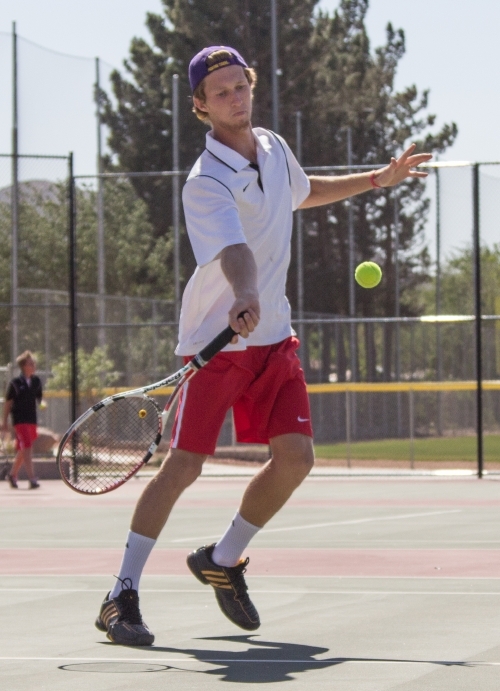 CEDAR CITY – The best of Region 9 boys’ tennis have fought through the local competition and are ready for State. 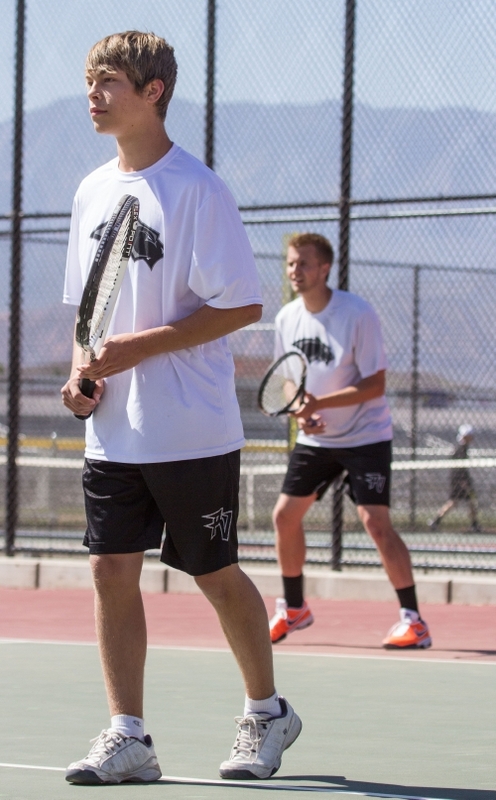 The Region tournament began May 10 at 8:30 a.m. on the Southern Utah University and Canyon View High School courts and ended just after 3:30 p.m. on May 11. The weather cooperated, aside from a hour-long rain delay in the afternoon of May 10. Players were ready for battle and matches close and often long, with teams from seven schools vying to qualify for State. “It was a tough tournament and all the kids played hard,” Cedar coach Jeremiah Sullivan said. All of Dixie’s and Desert Hills’s players qualified, with Hurricane and Cedar filling the remaining seeds. After tough seasons filled with ups and downs, neither Pine View nor Canyon View managed to earn a seed. The Region title was awarded to Snow Canyon, whose players took the second seed in every position, thus earning the most points overall. 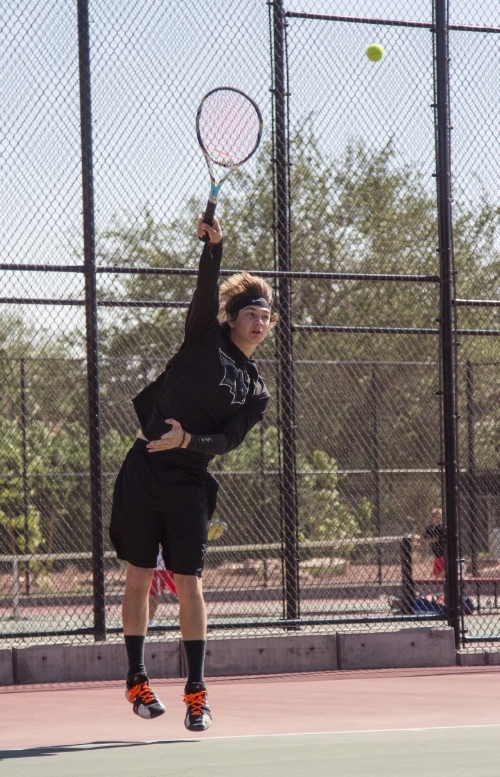 Only the top four seeds in each varsity position advanced to State, which will be held Friday and Saturday starting at 8:30 a.m. at the Green Valley Spa courts in St. George. The tournament is overseen by the Utah High School Activities Association. At State, Region 9 schools will face the best players from across Utah, including last year’s champions Park City. Boys’ tennis wraps; who will advance to state?